Happy Easter everyone! 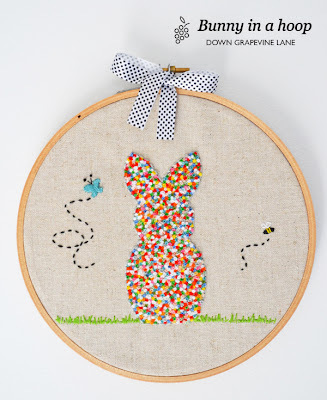 I know it's a bit too late for even the speediest of stitchers to stitch anything for Easter now, but here's some suggestions to bookmark for next year! 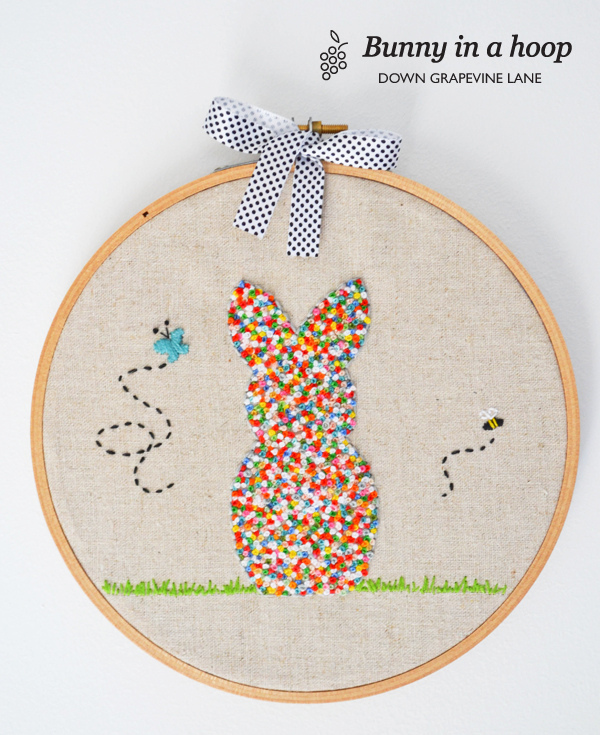 First up is Bunny in a hoop by Down Grapevine Lane, a free pattern that comes with a great tutorial. 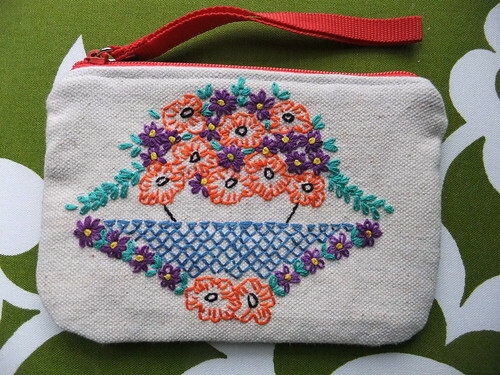 I love the french knots, they remind me of hama beads! 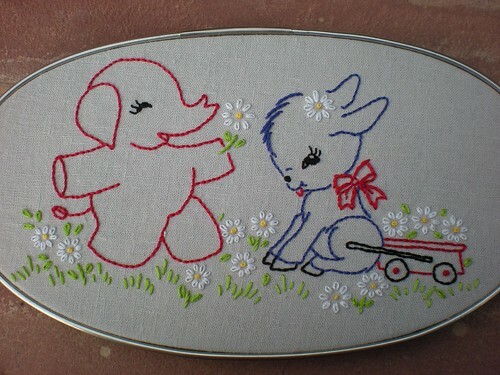 Next up is this free pattern by LiliPopo, isn't she sweet? 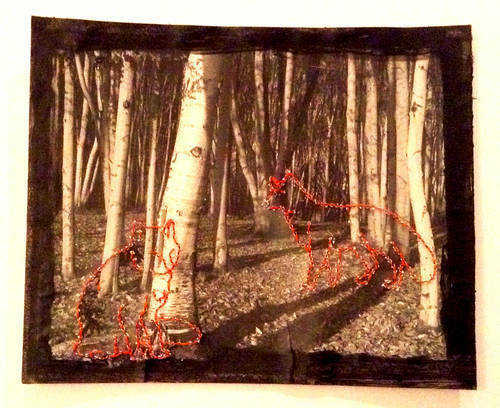 Here is in an in progress shot of me stitching the pattern through paper onto felt. 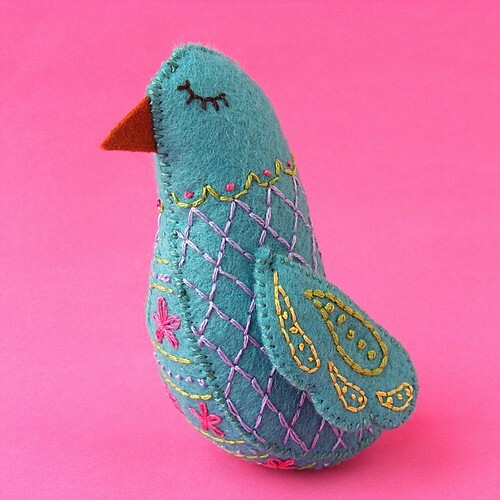 And finally and not just for Easter, how about Wendi Gratz's Spring Bird? 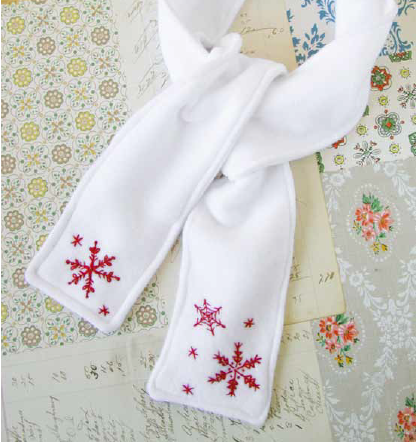 You can download the free pattern by following the link here. Olá! 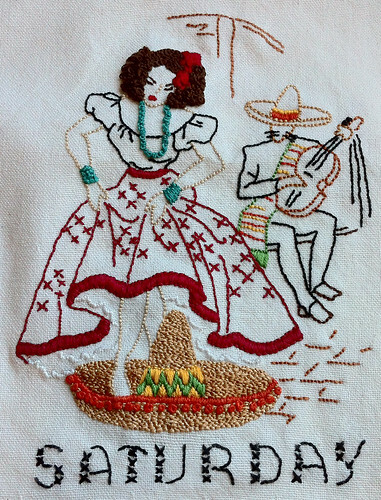 This week I'm back to traditional Portuguese embroidery, bringing you one of the most famous Portuguese regional stitches. Guimarães is an incredibly beautiful and historical city known as the "birthplace of the Portuguese nationality" or "the cradle city" (Cidade Berço in Portuguese). 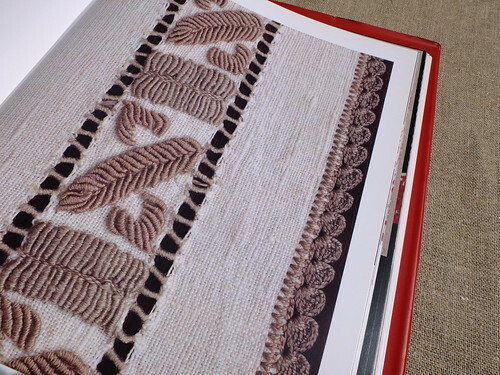 Guimarães Embroidery is known worldwide and I believe that it is due not only to the beauty and originality of its stitches but also to the work carried out in divulging it. And a very special book has its credits... 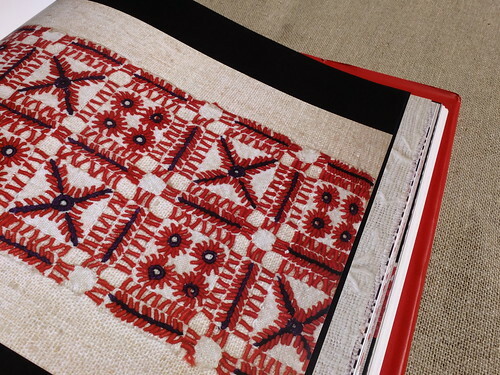 It's not easy to find information about Portuguese embroidery in English and this special book not only is written both in Portuguese and English but is also available online. 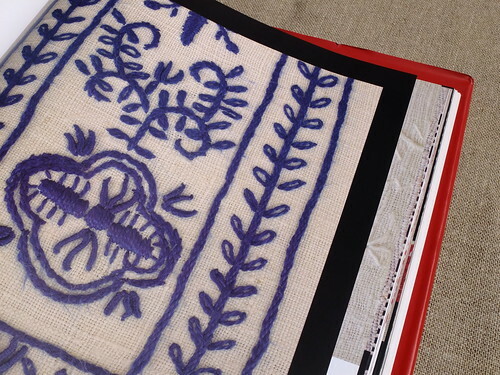 You'll find Guimarães Embroidery - a renewed tradition here. 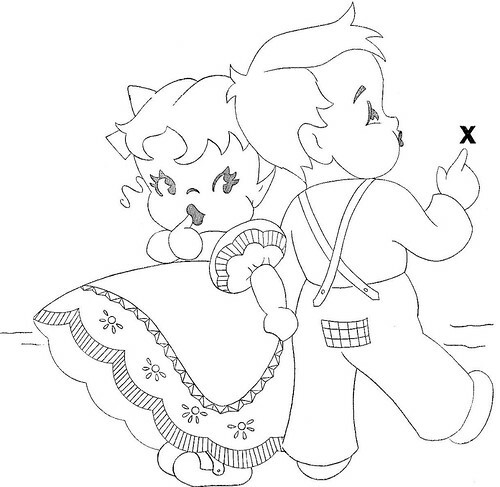 And if you want to know even more don't forget to read here, where you'll find instructions on the stitches and some videos. I'm not going to review the book... I don't dare!!! 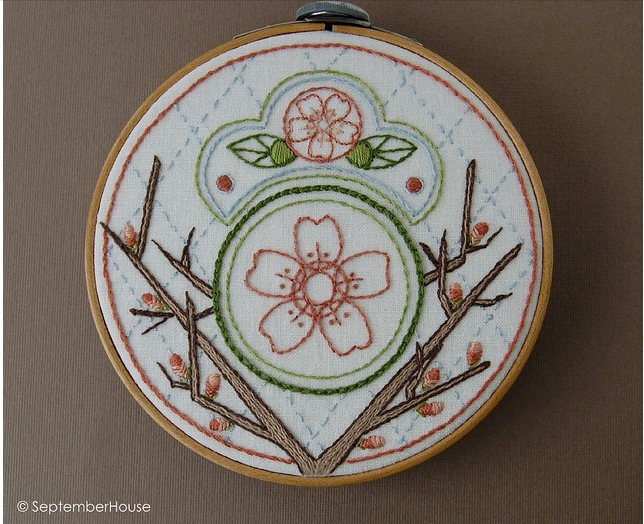 Because two of my favorite embroidery experts have already done it!! What a coincidence!! After buying this book, Avó Méri explained, both in Portuguese and English, why she believes this is a great book to have in your library. And some months later, while visiting USA, Avó Méri mailed it to Mary Corbet allowing her to review what she calls a "gorgeous book". Oh my goodness! I am so excited! Aimee Ray has a new book out! 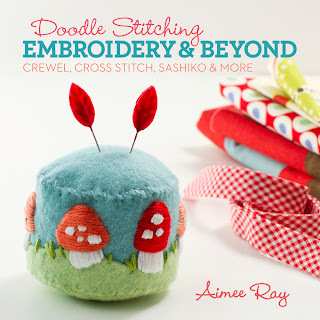 Doodle Stitching: Embroidery & Beyond: Crewel, Cross Stitch, Sashiko & More . It is fabulous! 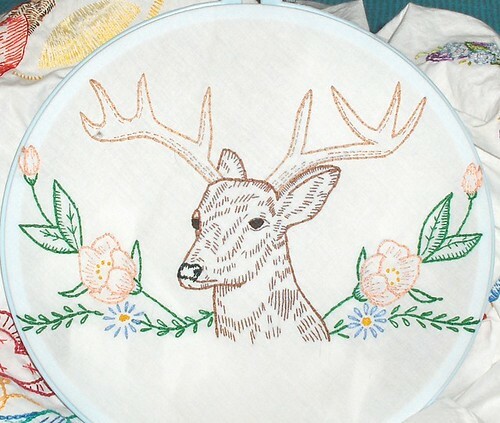 Not only does she give you great patterns, but also step by step instructions to so many different projects. 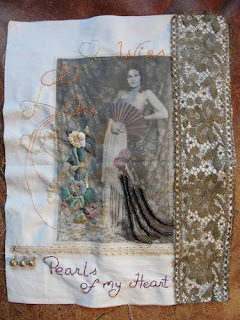 You will find chapters on such techniques as stumpwork, Shisha, cutwork, stitching on felt and Sashiko, just to name a few. 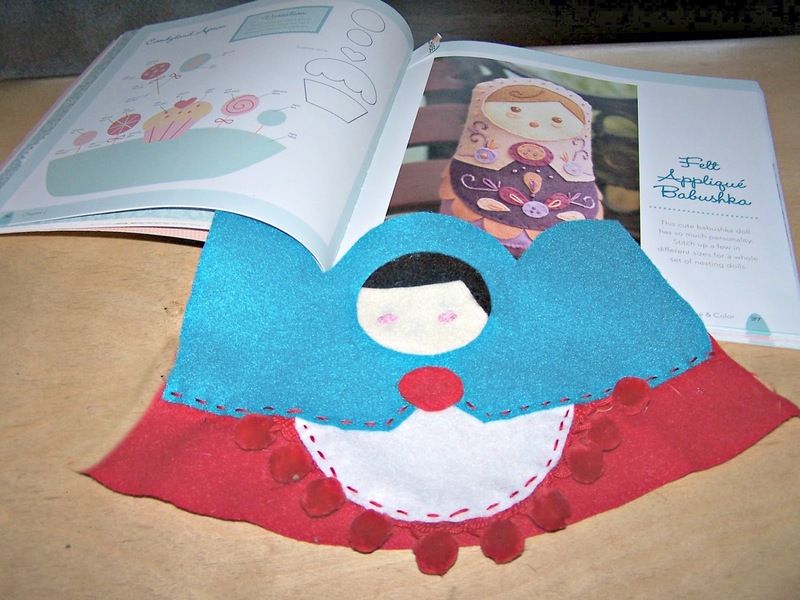 The book really has something for everyone, whether you are a beginner or a stitching guru. The awesome people at Lark Crafts and Sterling Publishing were kind enough to not only offer up Aimee's new book but also a wonderful one of a kind Aimee Ray scarf (EEEEPPPP!) as a giveaway. All you have to do is leave a comment below and an email to contact you. That's it! Easy peasy! You have until 9pm Central Standard Time, Sunday. March 31st to enter. Just one entry per person, please. I am working on the Babushka doll Aimee has in her book. 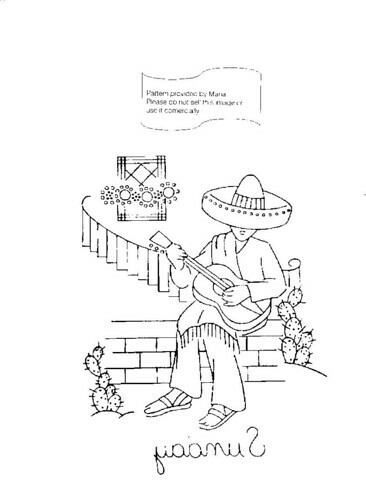 Check back to see the finished project and find out who the winner is. Yup, I adore this cross stitched piece by Emma Ruth Hughes. 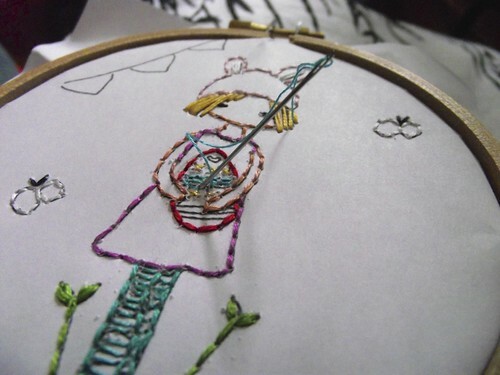 I love the fun way she's broken up her piece using color and lines, and I bet it looks super-awesome up on a wall. 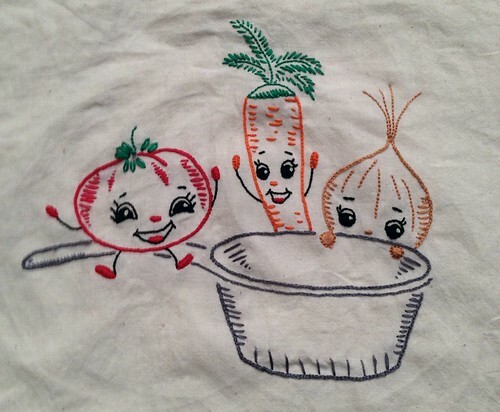 See more of Emma's daily stitched words on her Tumblr blog. Great work, Emma! 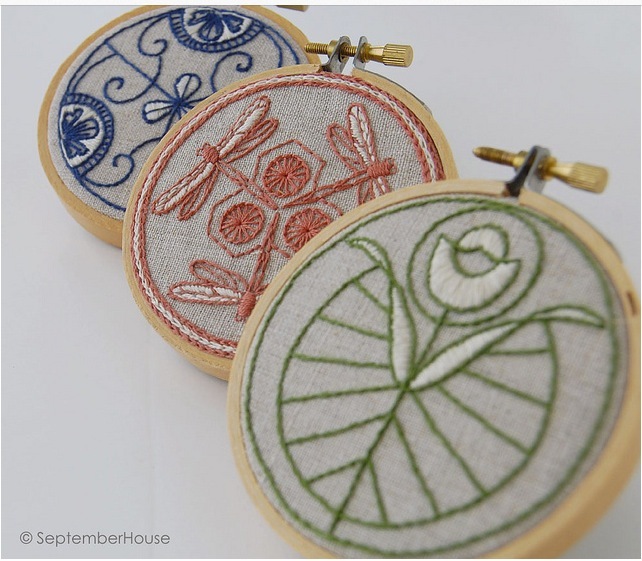 SeptemberHouse has a new pattern set out, yay! 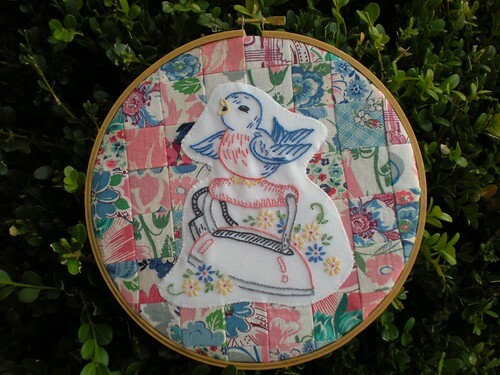 I love the Japanese feel of this one and as usual her gorgeous choice of colours and stitches. As well as the three miniatures above there is also a lovely cherry blossom design. 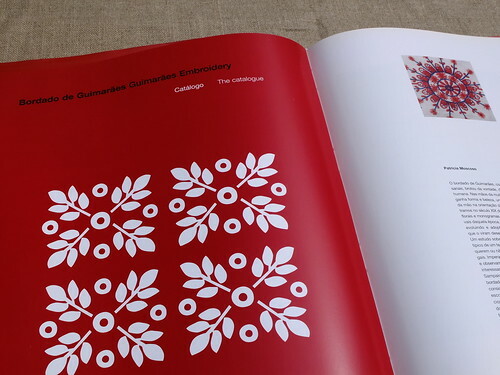 And what got me really excited about all the possibilities, a repeating pattern. You can find the pattern set, aptly named Wind and Water, here. 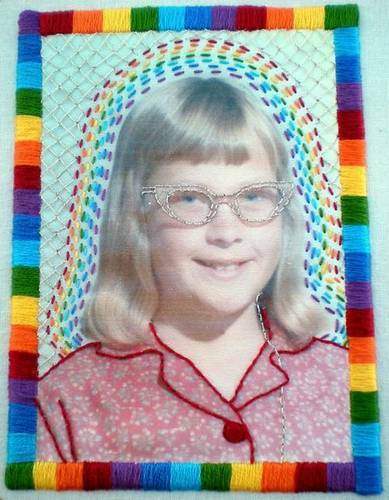 The winner for the Altered Photo challenge on Craftster was announced. Big congratulations to Lisa for her comic book version of Butchie. 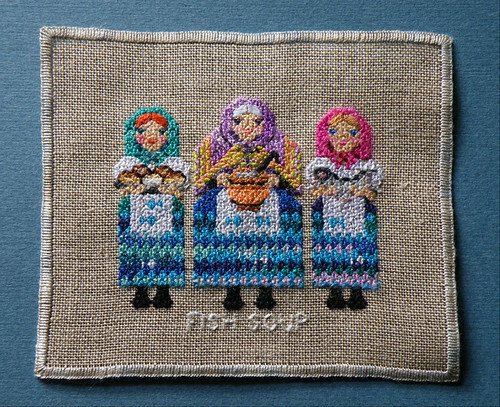 You can read more about this piece over on Craftster.org. Check out the other amazing entries! xperimentl's mom in rainbow piece is so cute! The glasses are killing me. I love the waves on kimmeranne's altered photo. Kayeelle's Memorial is so haunting. Fancybutch's Wolves remind me of ghosts in a forest. I love the red of the wolves. Today's tutorial is a little basket, fun for Easter egg hunts and treats that the Springtime brings. 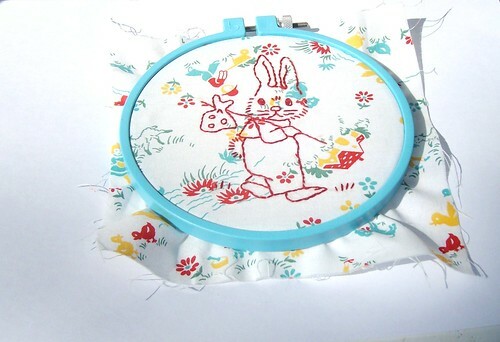 I found a fun Spring and Easter Eggstravaganza PDF embroidery pattern pack over at The Split Stitch and used it to create the front of this Easter basket. 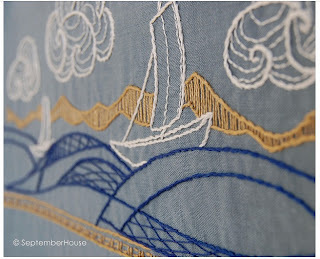 Step One: Begin by embroidering one of the exterior pieces of fabric. 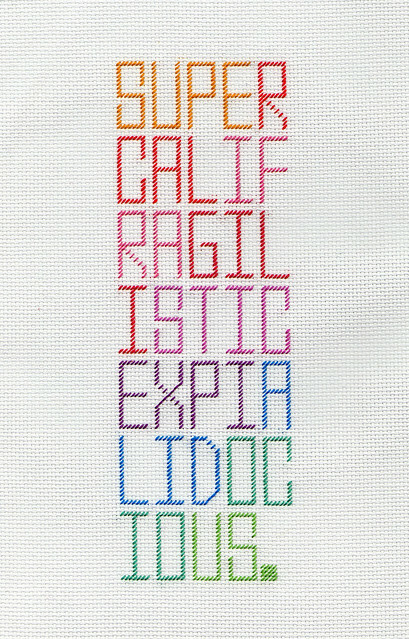 The pattern pack I used from The Split Stitch came with the font for the word "Easter," and I used those letters to create the word "eggs." 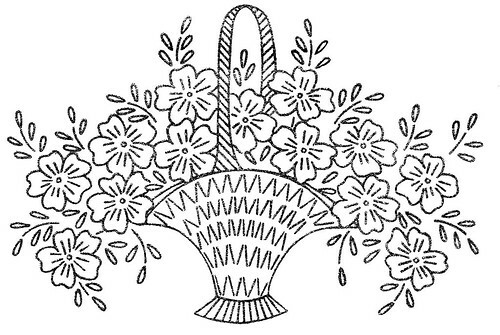 Step Two: With a finished embroidered exterior piece, now you can begin to build the basket. 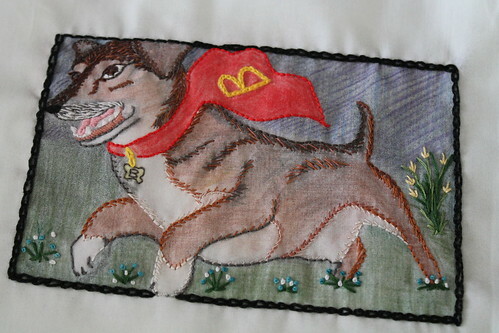 Create a sandwich beginning with a layer of felt, exterior fabric right side up, exterior fabric wrong side up, and another piece of felt. You want to make sure you have the right sides of the exterior fabric facing each other in between the pieces of felt. 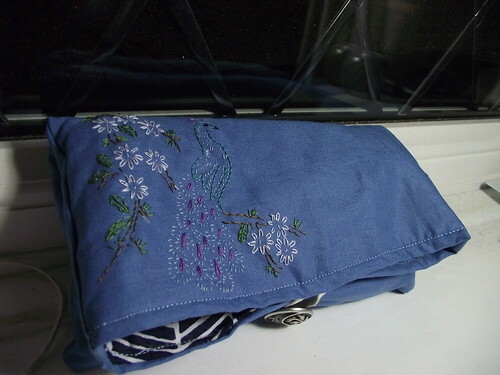 Then sew a 1/4-inch seam along the sides and bottom leaving the top open. Step Three: In order to square the bottom of the basket, take one corner and press it flat so the seams are touching and it creates a triangle. The seams should be flat and pressed open, which I forgot to demonstrate in this step, but it's correct in Step Five. 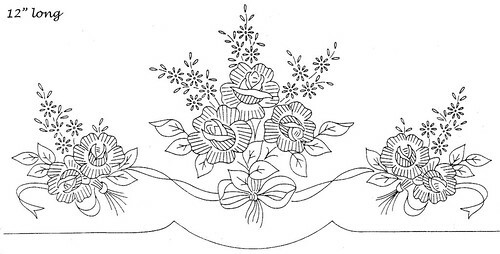 Stitch 2-inches down from the point or peak of the triangle. Repeat on the other corner and clip the excess. Set this piece aside. Step Four: Place the interior pieces right sides together and stitch around the sides and bottom leaving a 2-inch unstitched space on one side in order to flip the basket inside out. Step Five: Square off both bottom corners of the interior piece the same as the exterior piece from Step Three above, making sure to press open the seams. Step Six: Now it's time for the strap. 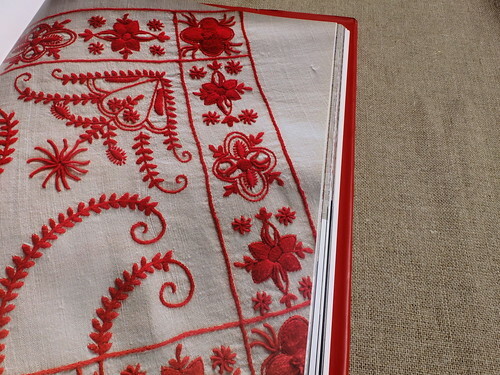 Take the 18x5-inch piece, fold it in half along the long edge and press. Open up this piece and fold each long side in halfway, so that the edge meets the fold line you just created, and press. Fold the strap in half again, so the folded edges meet, and press. 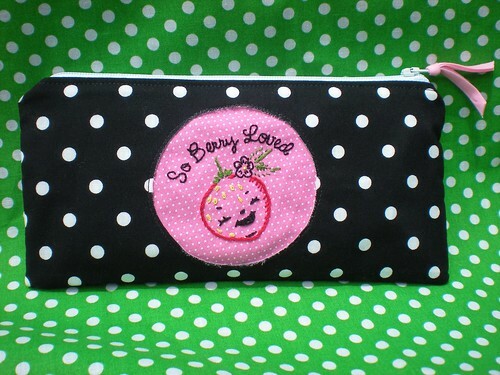 Sew a 1/4-inch seam along both long edges of the strap. Step Seven: Now the basket can be assembled. Place the interior piece inside of the exterior piece, right sides together. Take the strap, place it inside the basket body, between the exterior and interior pieces. Making sure not to twist it, match each short edge with a side seam, pin in place. 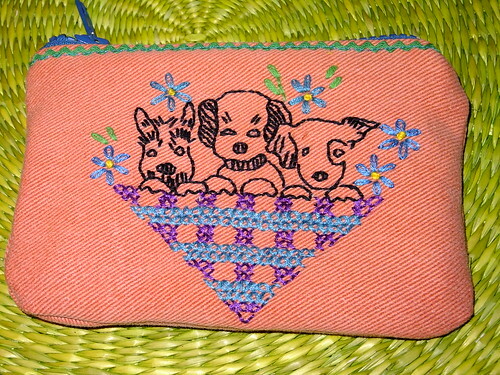 Stitch a 1/2-inch allowance along the top. Step Eight: Pull the interior piece out of the exterior and flip the basket using the unstitched space in the side of the interior piece. 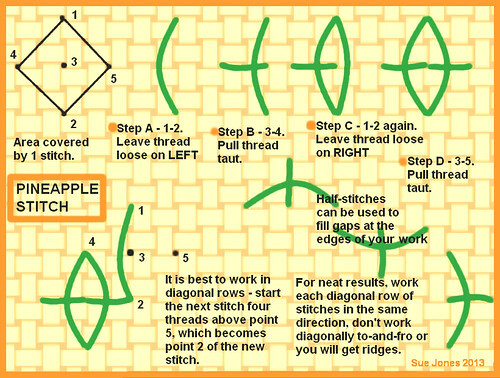 Stitch the open space closed, as close to the edge as possible, backstitching at the beginning and end. Step Nine: Topstitch around the top edge of the basket opening, making sure not to catch the strap. Step Ten: Fill with eggs or treats and have fun! Hope you get to give this a try. Have a happy Tuesday!